Founded 120 years ago, Anthony’s is the oldest business in West Palm Beach, Fla. The retailer, now specializing in women’s apparel, owes its origins to advances in transportation. A.P. “Gus” Anthony rode James Flagler’s new railroad to its end in Titusville, Fla. There he started a small jewelry counter in 1894. The next year Flagler extended the rails to West Palm Beach. Gus was close behind. Gus didn’t follow the rails to Miami; he stayed put in West Palm Beach, where he opened his first clothing store, Anthony’s, in 1895. 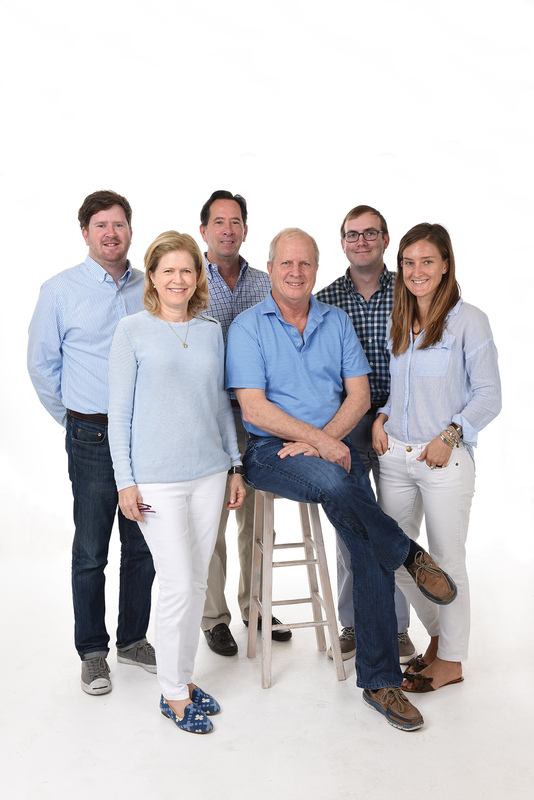 Each summer, Anthony’s would shutter its store and move with its customers to resort towns in North Carolina, Virginia and Ohio, selling its wares in shops the family owned there. Before the snowbirds returned to Florida, Anthony’s would restock its shelves and reopen in the Sunshine State. The Anthony family stopped flying north for the summer in the 1930s and sold off the northern shops. Their 14 Florida stores still serve a migrating clientele. 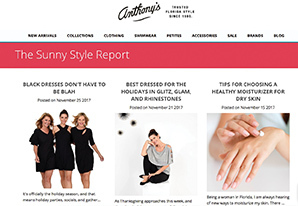 Three years ago, M. Pope tapped his daughter, Kristin Anthony, 29, to revamp the company’s website in order to encourage year-round shopping. Kristin was working in education when her father, along with her aunt Archer Anthony Barry and uncle Dan Barry, approached her about joining Anthony’s. “I had no interest in the family business,” Kristin says. Her family won her over by telling her they wanted her to build a new website instead of bringing in a stranger to do it. She says she was happy to dig into something new and help the family. Kristin moved back to Florida with her husband and started the project. She also recruited her brother, Pope Anthony, as head of web operations. Archer and Dan’s son, Danny Barry, serves as director of stores. Kristin says the project was “bigger and far more involved” than the older generation expected. She gave the site a more polished look and added ecommerce functions. “Every time we pay a bill to our developer, they say, ‘OK, that’s the last one, right?’ But that’s not how it works,” she says. The site needs continual tweaking, she explains. Kristin believes this web work could be a tipping point for the business. The technology may have evolved, but M. Pope says buying clothes for the stores hasn’t changed much since he started at the company in the 1970s. He says he learned that part of the business through trial and error.